AWESOME job, my longest survival was 2 years. Damn, 4.3 years old!?!? 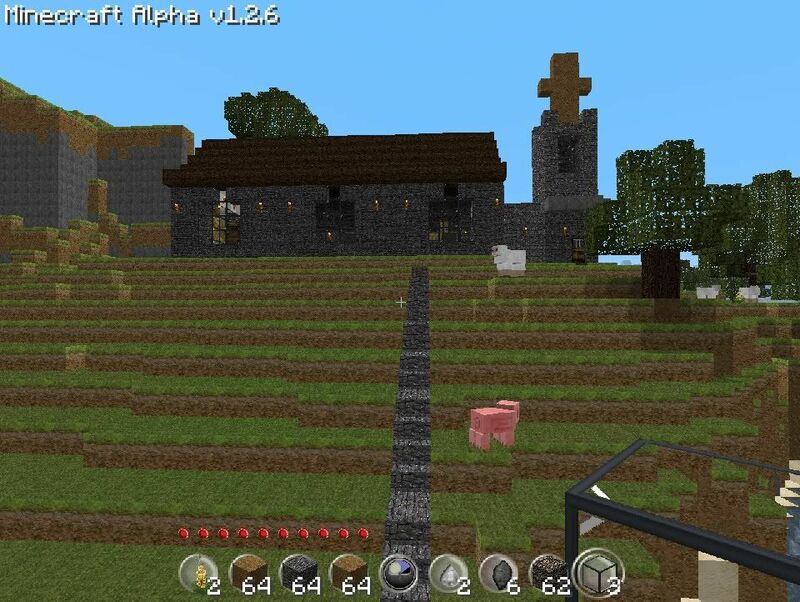 I wonder how screwed up all the world generation is since the generation changed over updates! 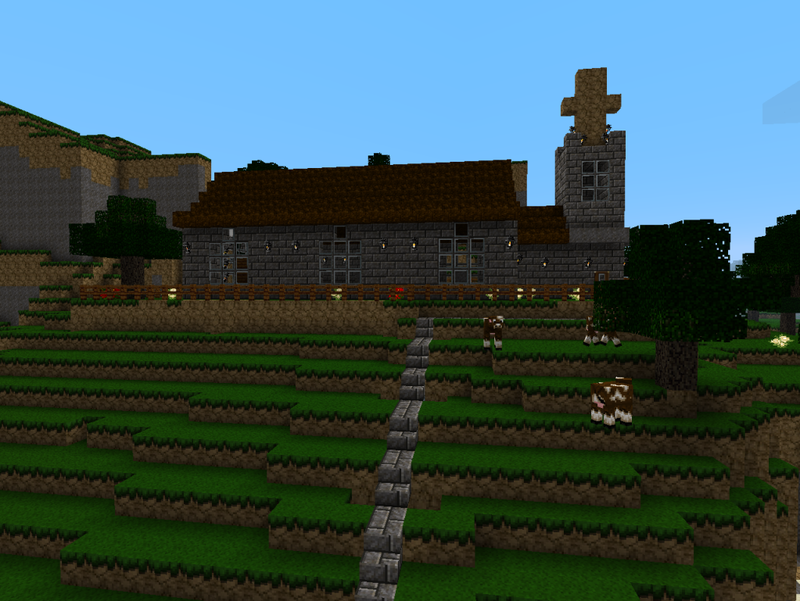 If my math is correct, this world is 280-something years old in Minecraft years. I can only say one thing: WOW!!!!!!!!!!!!!!!!!!!!!!!!!!!!!!!!! !, I have never stayed on a world that long and never done anything close to that, I can't believe that you stayed on that long and built all that stuff, impressive. Good Luck with that world and don't quit now! 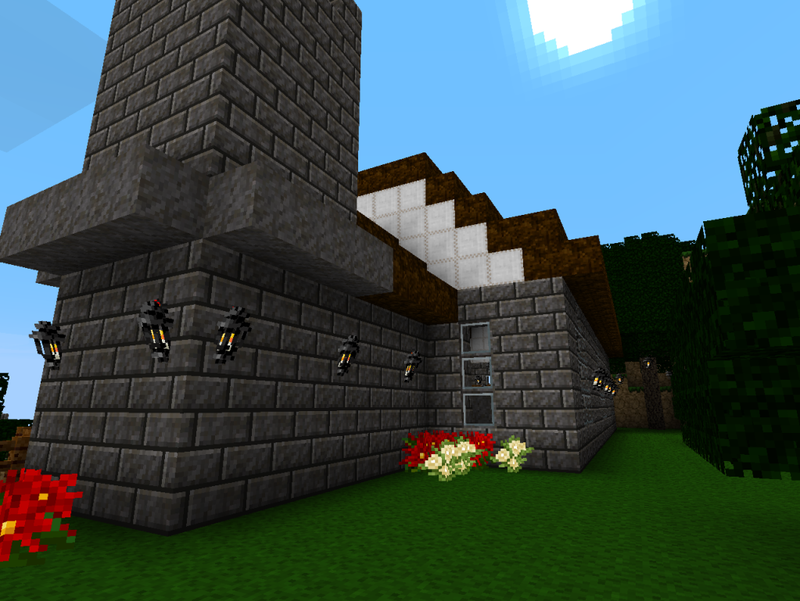 Yeah, there are some pretty funky chunk walls, one very near by as per this other thread by me. I have one idea for that, though it involves being another castle and a big entrance on the front facing flat chunk wall. I went way past Donkey Island either yesterday and the day before - that in itself is 5000 minecraft miles+ until I reached a bunny area (-62224.50X miles) and even out there there were funky chunk walls on the edge of the sea. Although I failed to brink bunnies back through a portal and the nether, I did bring an extra donkey back so I can start breeding them. See, now you've told me that I have to get to 300 years=! In a break from building, I went adventuring too see if I could bring bunnies back through a portal - it didn't go well. After travelling a very long way to get to the desired chunk, I leased a group of bunnies and built the new portal with the obsidian I took with me. It was very unfortunate that in the Nether, the portal spawned right inside a nether fortress. Between the travelling down blocks, Ghast, blazes and particularly the blazes, I was left with a baby bunny. 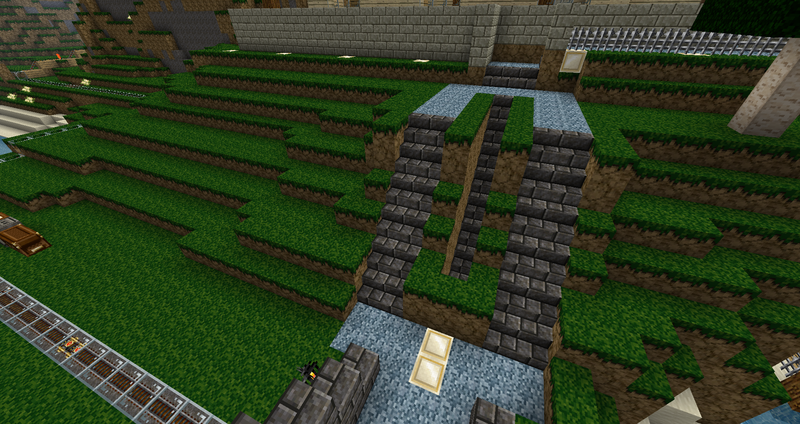 (I didn't mean to make them mate) and even that died because of too much minor fall damage. Despite the cool loot I lost most of my stuff as well so did a roll back to the back-up save. The good thing was after that I stuck cheats on (As I knew I was gonna roll-back anyway) and found a route from my portal to my existing portal in the nether back to donkey island. The second time I brought a donkey through the portal too from Donkey Island (Leash, not tamed.) and tied them up and went ahead and dug out a safe path from my portal to the existing portal. Of course the rabbits died again from fall collective damage, So I gave up knowing it would be near impossible. 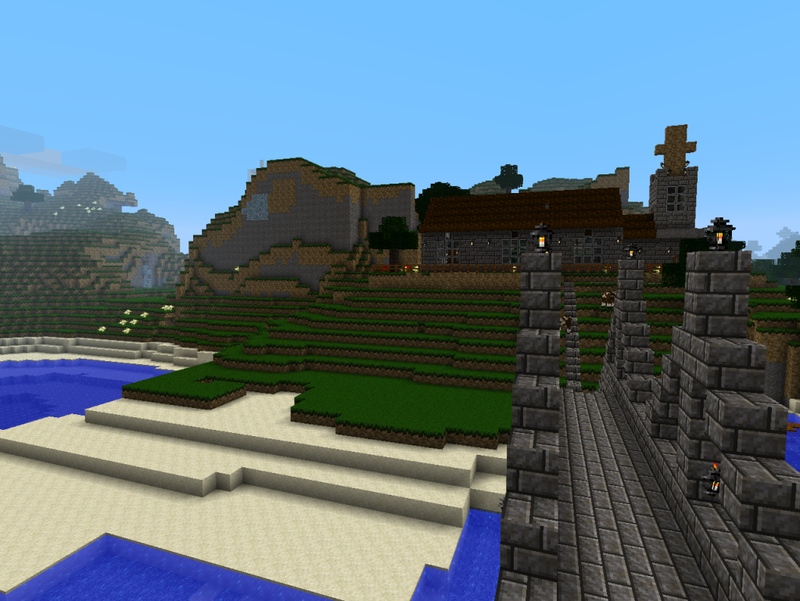 (There's also the long trek back from Donkey Island, including oceans.) 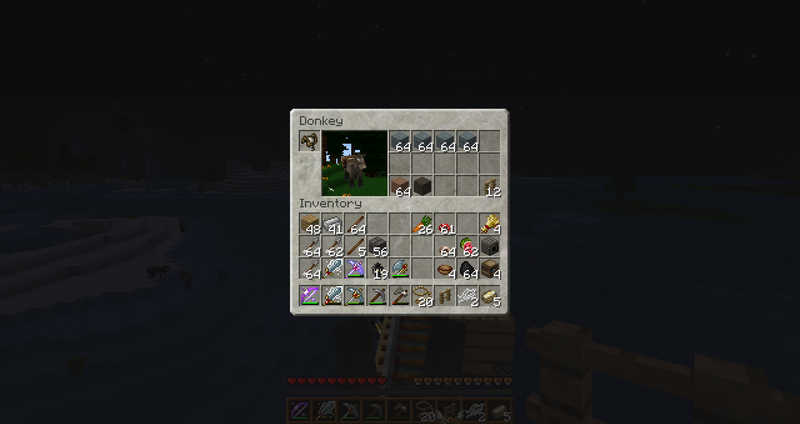 I just came back with the Nether loot and a spare donkey so I could start breeding, which I did as soon as I got back. The new donkey is as fast as Flash, so I don't what to call him yet, let along the baby one. 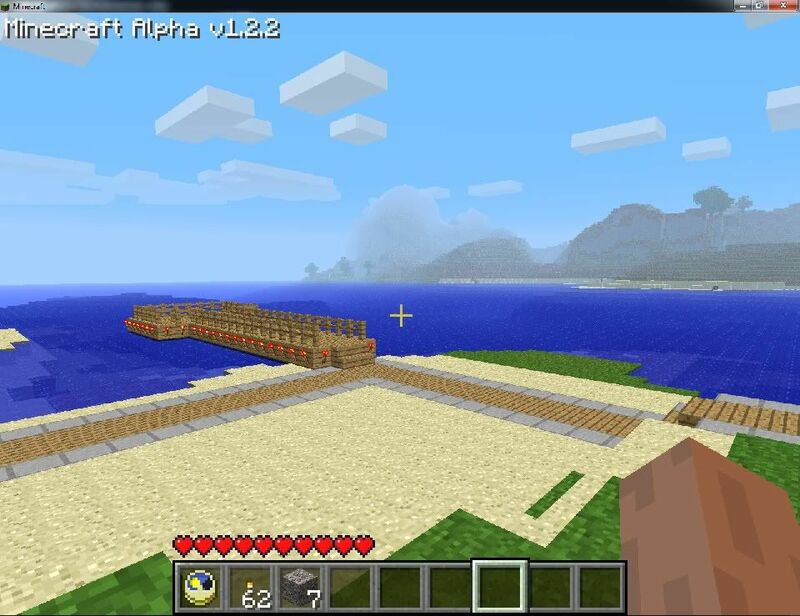 Now I can breed donkeys though and not have to travel all the way to Donkey Island. The inner double doors in the last picture between the glass walls will be a de-contamination area. Finally, just before I finished taking some of these pictures this morning, I was about to finish up, but decided to check my villagers in the library. They were fine but there was a zombie on the other side of the counter, not just any zombie however, another zombie villager. I rushed to get my cure kit. Wouldn't you know it, another librarian for my library! They must know, they must sense where they are! He wants 36 paper for an emerald, a book and a book and 5 emeralds for Aqua infinity I. As the church is the main build (or rather re-build) at the moment, I thought I'd do a little throwback Thursday to the early years. Originally across the ocean from my mountain home, there was nothing over the ocean but more mountains. 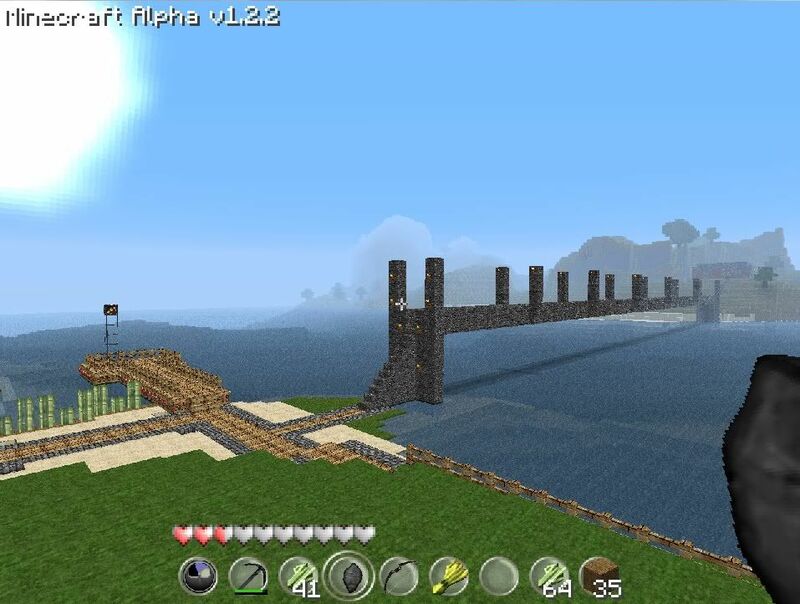 After building the bridge I build over there purely to see what was over there - and because I could. 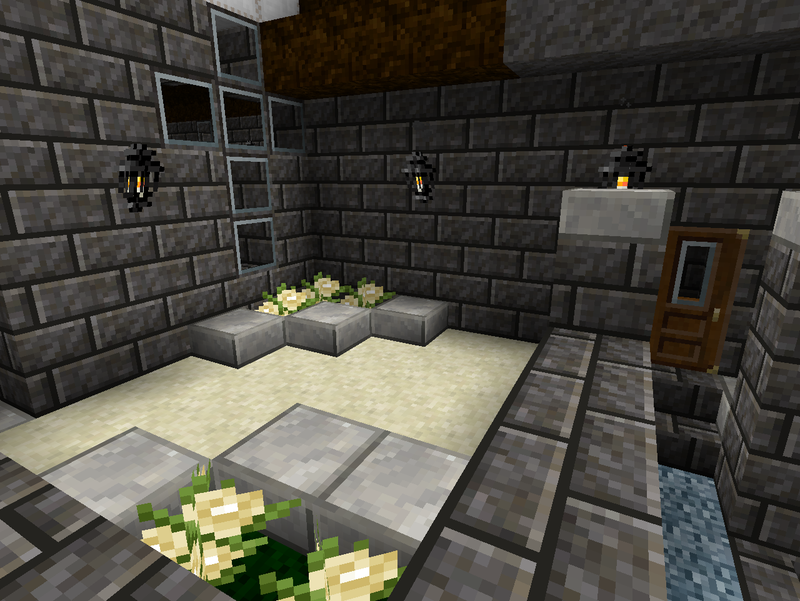 At first it was just an empty, [entirely] cobble hut, but I couldn't think of what to use it for. 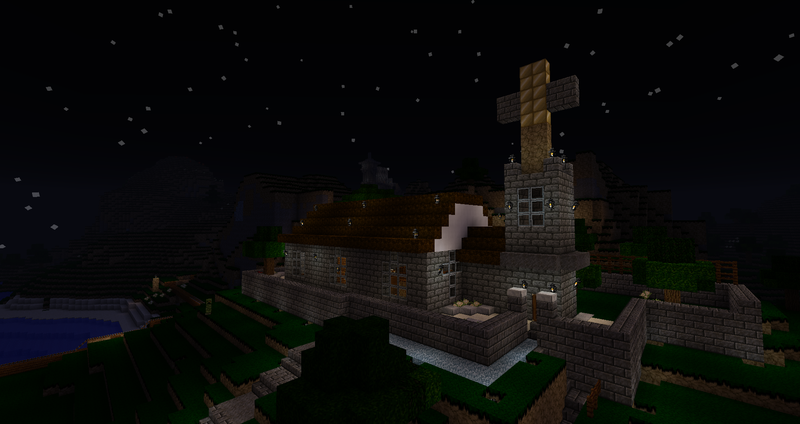 For several months it stood empty before I decided to convert it into a church. It says something that the hut was so un-remarkable that I never took a picture of it. Wish I had now. Now we start to get clearer pictures! The quest to get enough gold to make blocks would begin. 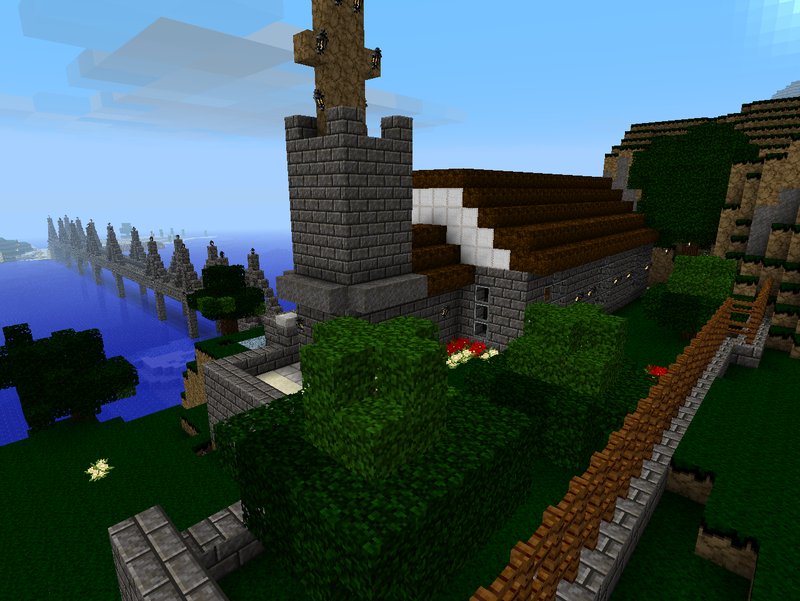 Improving the grounds around the church. Stone-brick wall perimeter by then also. Ding! Cross is finally done. 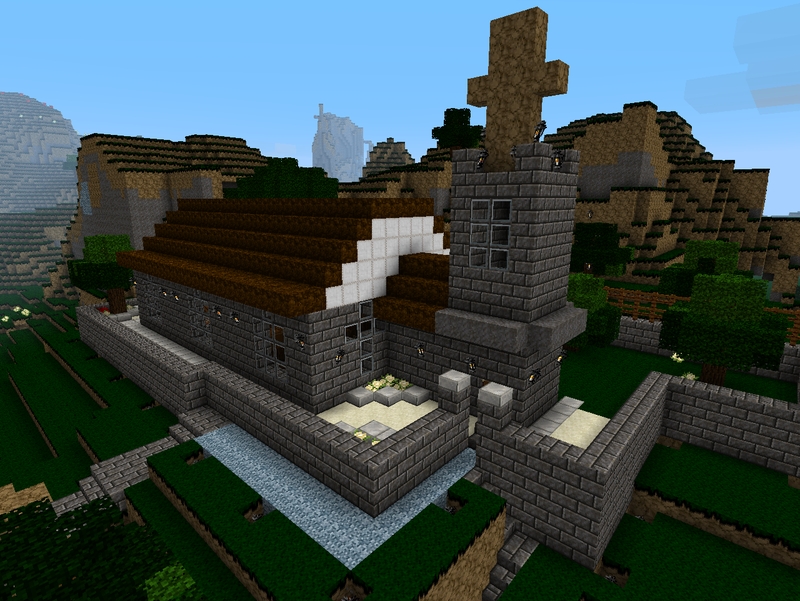 Block around the surrounding mountain, excavate inside for huge sized church. As there have been a few that have asked, I am working on a download link. Tonight I updated the save file so it's up to date again and compressed it, but so far my host is not playing ball. So hope to get it up a.s.a.p. This is a beautiful world, a work of pure art! Amazing! I can understand why this has so many views. After a mining trip to the mesa (14 diamonds score), I shall be returning for more red sand soon. I hope to bring back a record 8 stacks of red sandstone, which should give me 4 stacks of red sandstone stairs - for the church roof at least. If that doesn't complete the roof it will be very near as. I'm also contemplating building a farmyard barn where the animals pens are. The only trouble is, the horse stables are on the lower sand bank to it's left so that would be two buildings quite close to each other. (Crowded?) As it stands, the sheep farm is a block higher than the pig/cow farm, If I leveled it, I could maybe build a barn with the front ending where the current back of the sheep pen is. (So there's a bit of lawn) I would loose all the hoppers underneath the chicken pen (and chicken pen itself) but I could in corporate it. I've been designing it on my creative copy of the world. 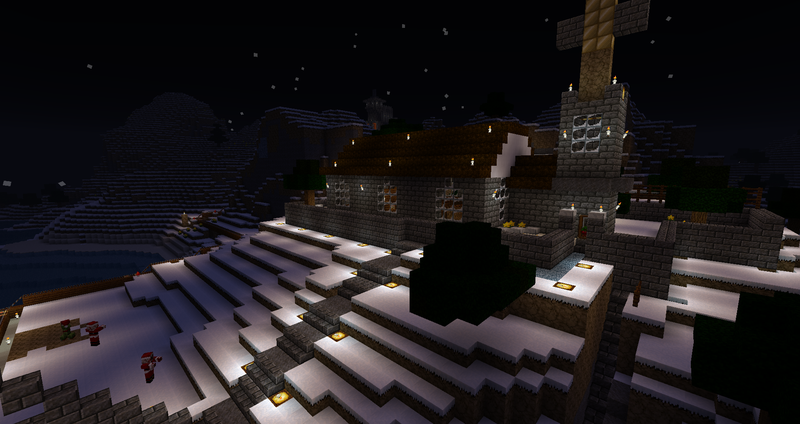 Said barn would be acacia barn white some white accents (Snow blocks? 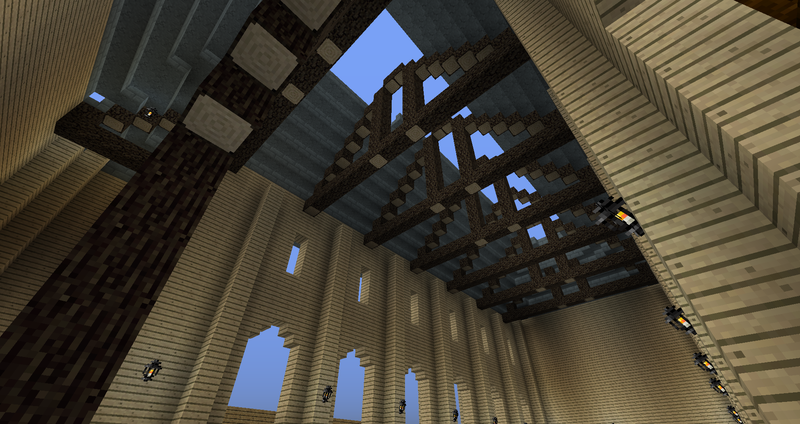 ), interior spruce support beams and dark oak stairs roof. I still thinking it over though. Church roof near completion! Ghost Donkeys! So I went back to the Mesa and got those 8 stacks of red sandstone, I was worried I'd get bored because let's face it - shoveling red sand or any sand can be tedious. Although I got twitchy around the end of stack 5, start of stack 6 I knew I was so near the end I had to do this! After a successful haul I began the journey home, but when I got to my Multiplayer home (Shrine - exact copy of the one of my earliest homes I created on multiplayer, across the ocean from Mount DOOOOoooom); I got an unexpected surprise. I was literally - "?". Now at first I just thought it was one of my newly captured donkeys (That I gave a saddle back in the barn at home) or it's offspring, although the latter had no saddle. 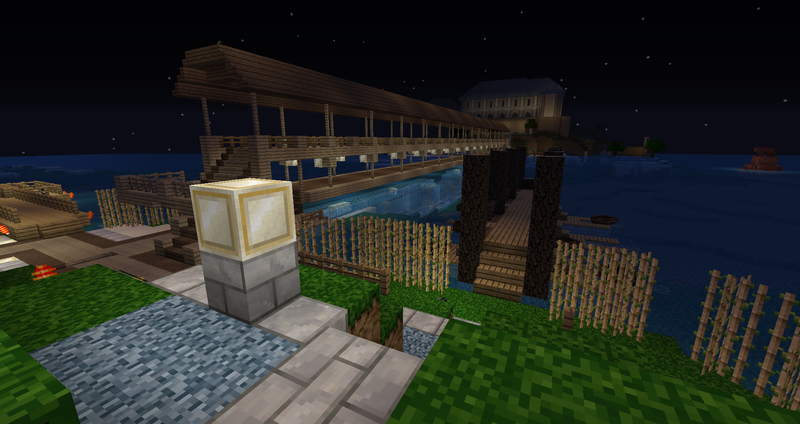 I leashed it back home across the ocean's one block width rail ride bridge (Have plans for that. ), but I had to do my donkey - Flash, first; then go back and get the other one before pulling both to home. Now here's the thing it can't be Gabby, as she definitely died! (The new church is going to be dedicated to her).It can't be my donkey before Flash though (Lucky), I'm sure that one died! Not unless I did a roll back to the back-up save, but I'm sure I had done too much work to go back. It's a mystery but for now I'm assuming it's Lucky! 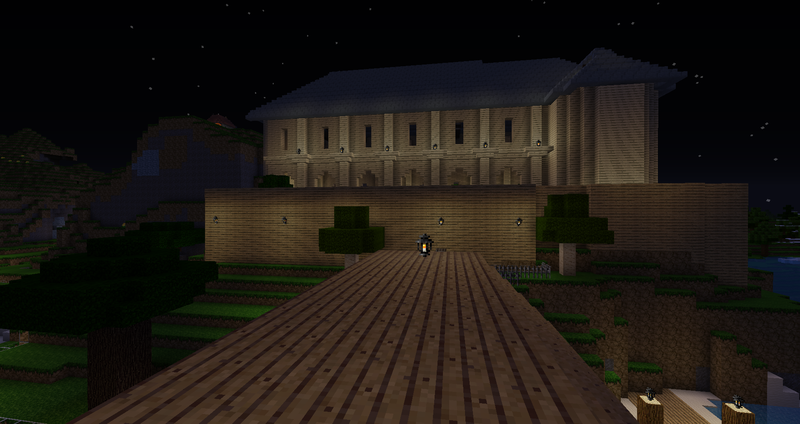 Those extra stacks of red sandstone came in very handy though. So today I did the same with the long staircase up to the spruce & jungle tree farm, I also filled in the walk way to it's left, (Which led to a room inside the mountain that had nothing done to it in years and remained empty. ); and restored the mountain to a natural appearance. There was no point in keeping that dug out walkway, the room in the mountain was empty, has been for at least 2 - 3 years. WOW! the last photo it's beautiful! 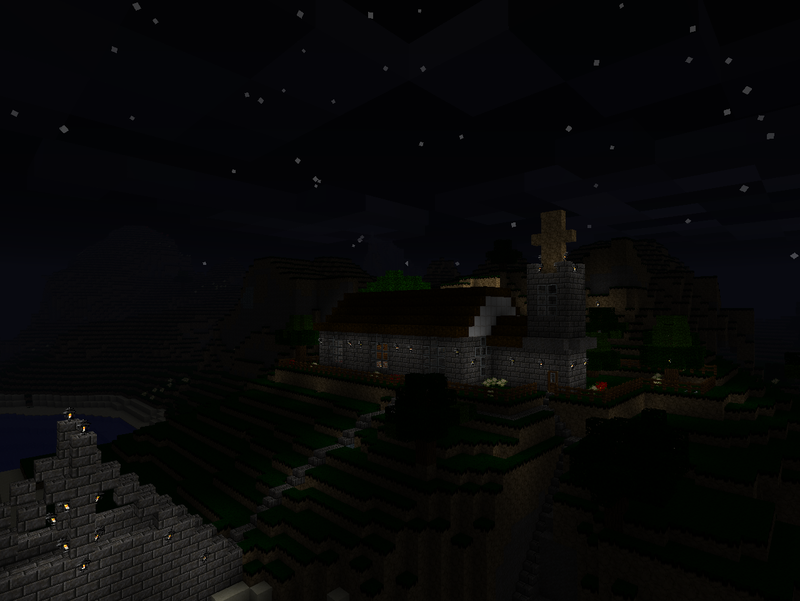 it's a minecraft map but it's beatiful like if it would be if it was real! So recently I knew I had to finish the bunny area's floor off with bales of hay, but I was getting tired of waiting for my wheat to grow. So, I created a quick insta-wheat machine after watching a YouTube video (Mine is much simpler), it's basically 3 dispensers each with stacks of bonemeal in them (Good job I kept all them bones over the years!) around a tilled block of dirt. 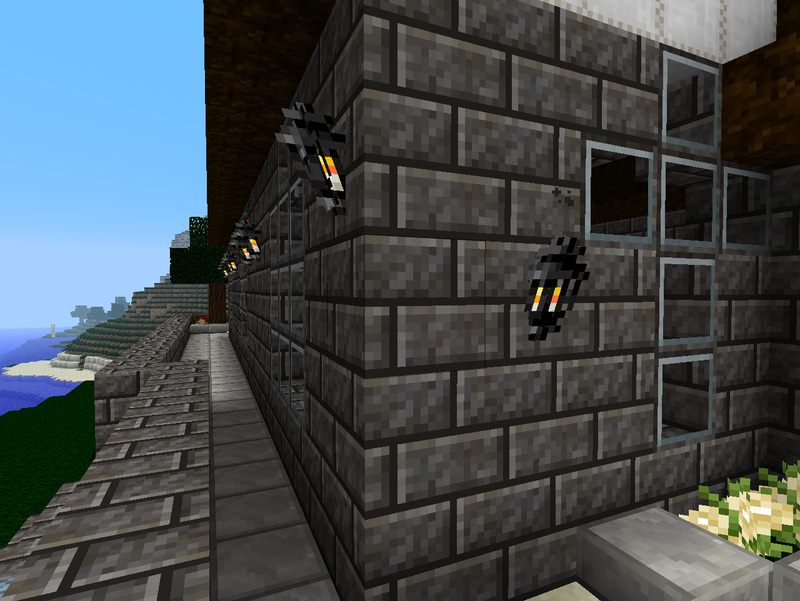 With stacks in each dispenser, I just pull a leaver and it inst-turns it into wheat. It didn't take long to do the five rows (By 5) +2 blocks of hay bales I needed. I tried before getting bunnies - twice and both times they died. I traveled very far to where I knew they spawned and built a portal, which unfortunately spawned inside a Nether Fortress inside said Nether. Despite dodging Ghasts, blazes and wither skeletons the fall damage kept killing them both times. So this time I decided to go wandering by foot from my home-in-a-mountain, the first time I only got so far before turning back due to a vast ocean. Pulling bunnies across a bit of water is fine, but vast oceans? - not happening. The second time I went over the nearby mountain by the apartment block and maze and just kept heading straight. Eventually I hit another vast ocean so changed direction to North-East and after 15 minutes or so found a new chunk and a Taiga biome. After waving a carrot around two babies came forth but so did a creeper. IN my rush to plonk the fence down to tie them up and back-up so they wouldn't get caught in the creeper explosion if it happened, said creeper got too near and blew. Here I admit I used a cheat and tp'd back. It doesn't matter any way as one had died and the other died shortly after as I began walking it back. (Fall damage). I went back and got two more and got a lot further with 2 new ones, but then they died too - again fall damage. When I eventually returned (Least I didn't die that time! ), I spent the rest of this other day and night waving a carrot about but no other rabbits would spawn. Eventually I went off to explore where the tiaga continued elsewhere, thinking I was going home empty handed when I found a pair underneath a tree! All-in-all I spent two hours or more doing this, it was a very, very long tedious trip back as I just headed north back to home, thinking I was lost at one point. Eventually I saw a desert and finally a landmark I recognized! (A few cobble walls one night when I got caught out mining a sand a few years ago.) and knew where I was! It was such a thrill knowing how near I was! Then seeing the apartment block as I got nearer to home - still with bunnies on the leads. Of course as soon as I got home I began breeding them. 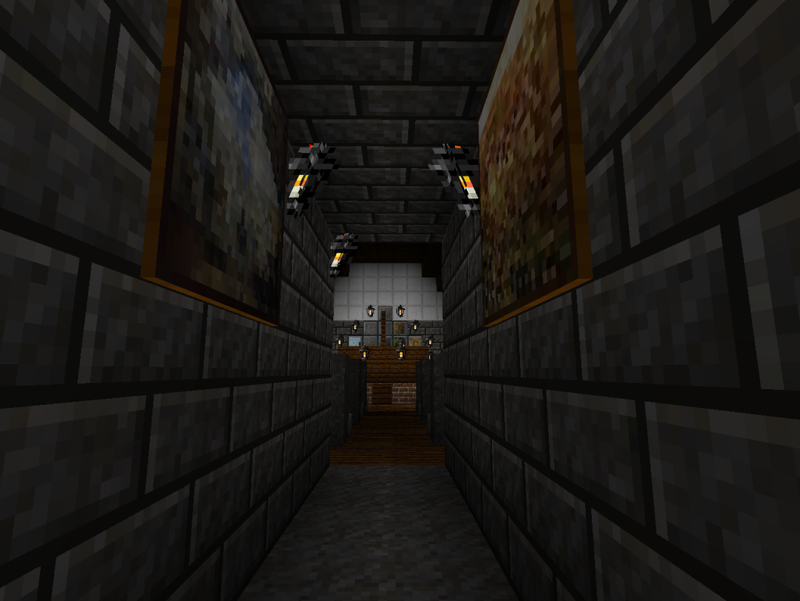 You'll not I changed the secret entrance painting to one of an early Alpha version of my home, if I aim for the cobble steps on the picture I can jump through. I still can't believe I managed to get bunnies home! When they were announced I was always worried I might not be able to being an old Alpha world as how far I would have to travel. 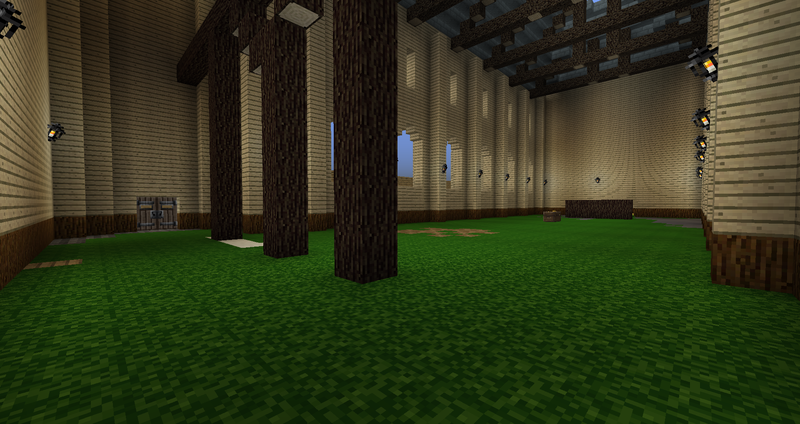 Despite the last tiny bit of roof needing doing to the church I have begun planning the floor works. I also removed the front of the wood boards (Wood plank walls) covering the front of the church, opting for a steel fence instead as a new temporary measure. 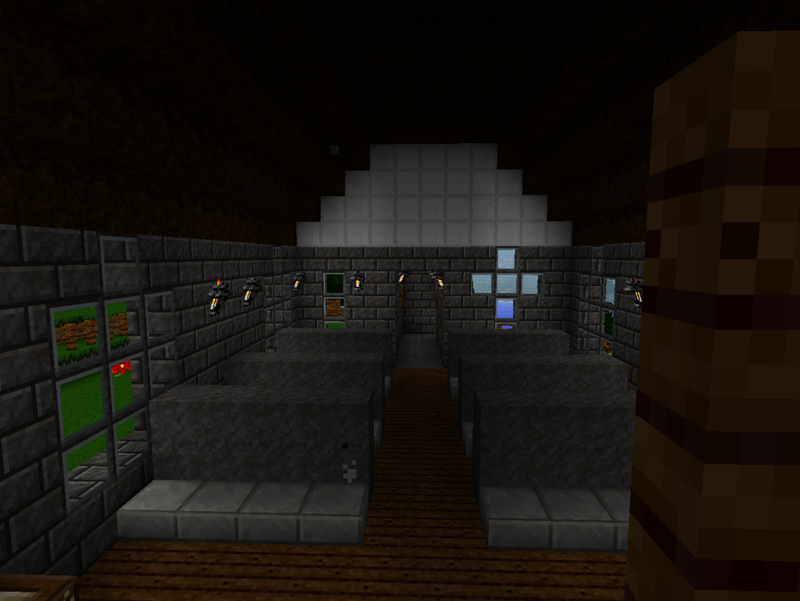 Just inside my underground mushroom farm I've added another door and dug into the mountain behind it for a cactus farm. *Breeding room (Rabbit home), I don't need it I can just mate them where they are, still tempted to change the back area of the former minecart exit into something though. *Changing rooms - by the pool. Originally when I cleared the mountain for the pool years ago I was thinking of a public area, when it's a very residential area. Alterations to the rooms have been shelved and the rooms themselves cleared out and bricked over. Something like "Journal and Journey of a 30 years old survival world"